St Neots gran helps scientists to take on £20 million Grand Challenge looking at new ways to tackle cancers linked to chronic inflammation. A St Neots grandmother is playing a key role in a multimillion pound Cancer Research UK project which aims to revolutionise the prevention, diagnosis and treatment of cancer. Ann Russell, a mum-of-two and grandmother to three, is helping scientists at the Cancer Research UK Cambridge Institute and a team of international researchers on a £20 million ‘Grand Challenge’ project looking at new ways to tackle cancers linked to chronic inflammation. The project was selected for the funding by an international panel of experts considering a shortlist of ten exceptional, multi-disciplinary collaborations from universities, institutes and industry across the globe. 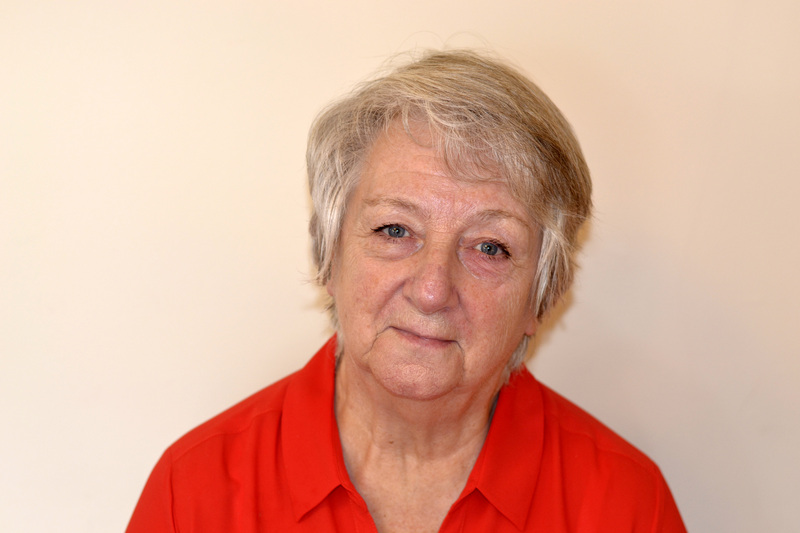 Ms Russell, 74, is a cancer survivor herself having been treated for both bowel and bladder cancer in the past decade. She volunteers as a Cancer Research UK Patient Advocate to give something back. Patient Advocates advise on how to improve patient involvement and engagement in research and on how clinical trials can benefit and work best for patients. The former charity HR worker has already flown over to San Francisco to help design the research proposal. She will continue to work with the research team to give a patient’s perspective as the project develops. Ann said: “The Grand Challenge project is very exciting and I feel proud to be part of it. “When I was diagnosed with cancer, it was a real eye-opener to me to realise the many different people involved in the treatment – from the researchers working in the labs, to the teams working in the hospital with patients. The research groups are based in three continents. At the Cancer Research UK Cambridge Institute they are set to receive over £1.4 million over the next five years as part of the global project. They will work with scientists in London, the USA, Canada and Israel who beat stiff international competition to secure the funding. The Cambridge scientists will be using their expertise to help unravel how chronic inflammation is linked to cancer. Inflammation is part of the body’s immune response. Chemicals released by white blood cells help protect the body from damaged cells, foreign substances or infections. Chronic inflammation can be caused by several factors such as viral and bacterial infections (including colitis), being overweight or lack of exercise, which can lead to diseases such as cancer. It is suggested that up to 1 in 4 cancers globally are linked to inflammation. Dr Doug Winton, Group Leader at the Cancer Research UK Cambridge Institute, said: “We are very excited to be collaborating on this pioneering project. Recent work shows that the cells surrounding cancers can control whether or not the cancer grows or disappears. The aim is to determine whether it’s possible to treat the inflamed cells and non-cancerous stromal cells (those cells immediately surrounding cancer cells) rather than treating the cancer cells directly. This could help scientists devise exciting new approaches to treatment from repurposing everyday anti-inflammatory drugs, to designing cells that target cancer-promoting tissues. Danielle Glavin, Cancer Research UK’s spokesperson for the East, said: “Grand Challenge gives us the perfect opportunity to address complex questions and cross new frontiers in our understanding of cancer, to transform the lives of patients.